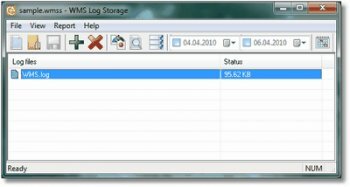 WMS Log Storage is a feature rich Windows Media Services or Adobe Flash Media Server log file analyzer. The program generates HTML-based reports with tables and charts. Highly detailed and easily configurable reports output to screen, file directories, ftp or email. Unlike other analyzers, WMS Log Storage has been designed especially for analyzing Windows Media Services log files and supports the entire set of Windows Media Services log file data and provides the best and most complete analysis of these files.